Happy June to you! You know what that means, right? Yep - It's time for a brand new challenge here on the blog!!! 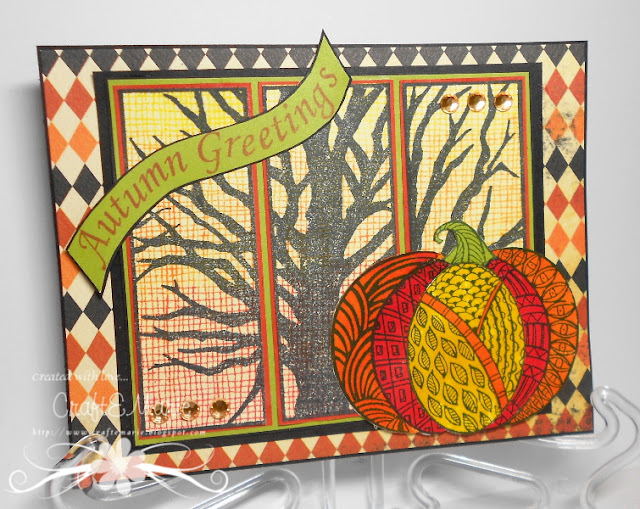 First, we have some winners to announce from Challenge 87 - 3D Elements. Neva here with Quick Quotes June challenge, Celebrate the Graduate! Whether you celebrate a graduate in elementary, college or high school this challenge is for you. Graduations happen from early May all the way through mid-June depending on your location. We have two graduates in our home this year, our daughter graduated from university May 7th, and our son will graduate from high school June 7th. What an exciting time for both of them. 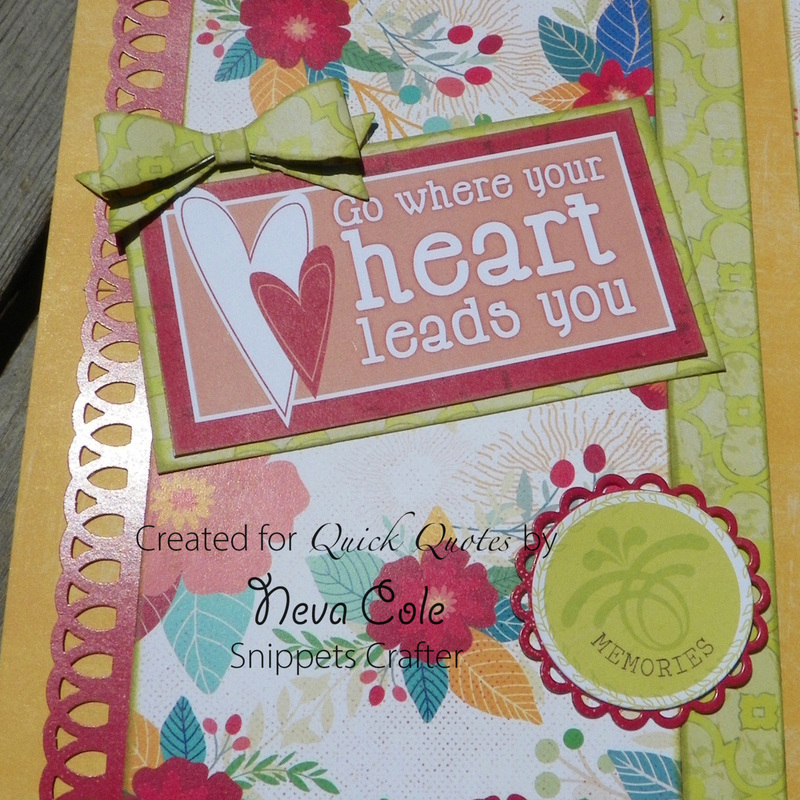 I choose to work with two collections for this double page layout, Whistlin’ Dixie and Secret Garden. 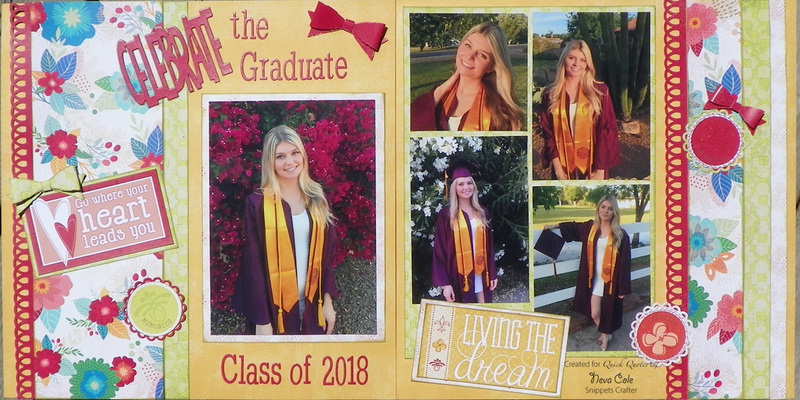 I found that the colors meshed together seamlessly and was able to match the colors in our daughter’s cap and gown. The design tip for this layout is to back the photos first, then use what you have left from the 12” x 12” sheet to design the layout. This two page layout was constructed from 5 sheets of patterned cardstock. Two of Whistlin’ Dixie 107, one Whistlin’ Dixie 103, one Secret Garden 104, and one Secret Garden 103. The large 12” strips were cut first, then the rest was used for the smaller die cuts. 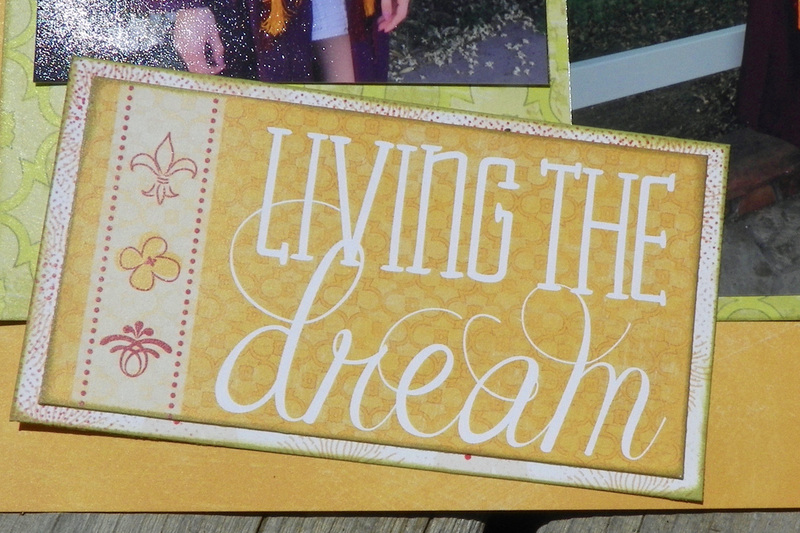 The base for the layout is Whistlin’ Dixie 107, a wonderful slightly textured gold pattern. The left side focal photo is backed with Secret Garden 104. 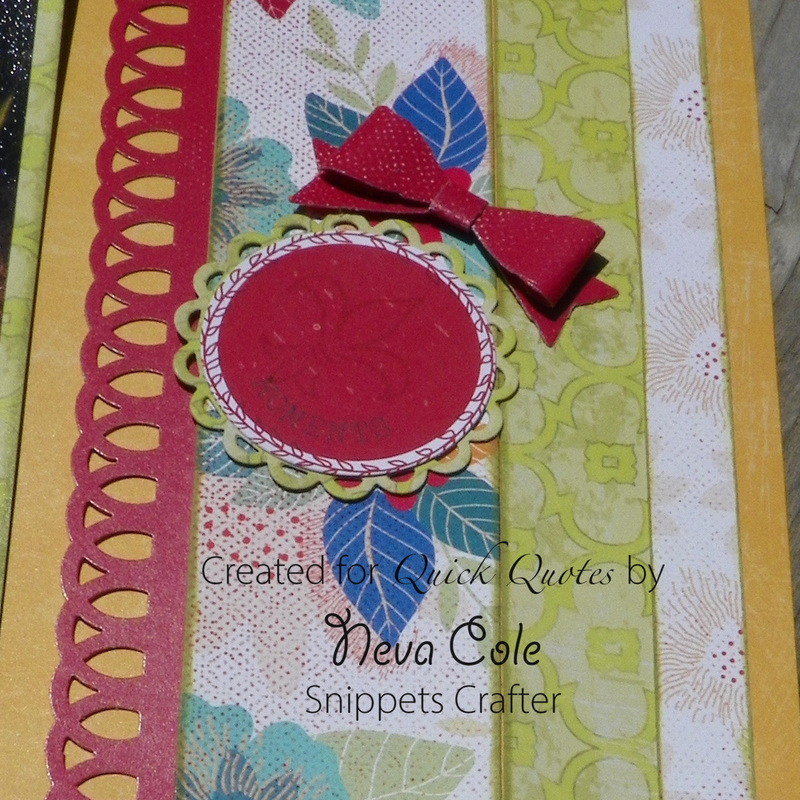 Secret Garden 103 is trimmed to 1” and is punched with a border punch for both left and right side of the layout. Secret Garden 104 is trimmed to 4” x 12”. Whistlin’ Dixie 103 is trimmed to ¾” for both the left and right side of the layout. 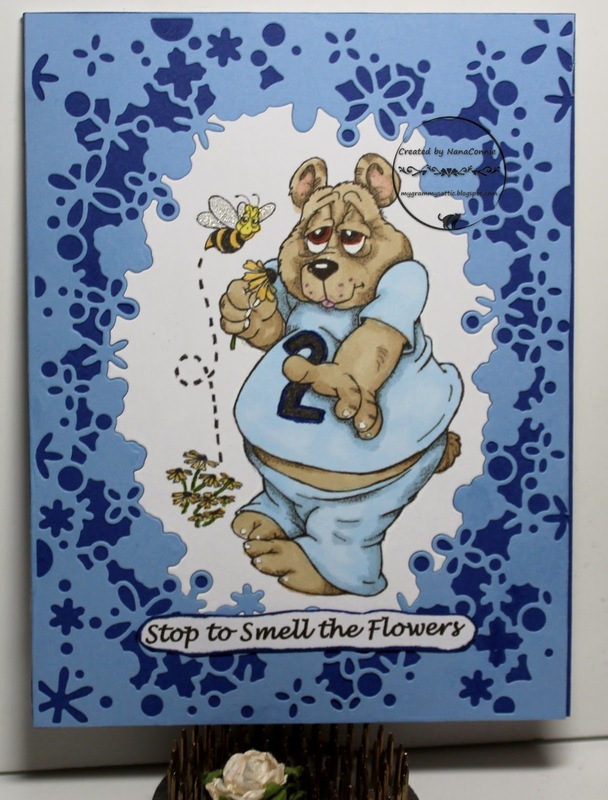 All the lighter colored card stock is inked with Powder Puff Chalking Ink in Cactus. Whistlin’ Dixie 500 and 600 provide the accents which are trimmed and backed with Secret Garden card stock. The circles and backing scalloped circles are die cut in contrasting Whistlin’ Dixie or Secret Garden. 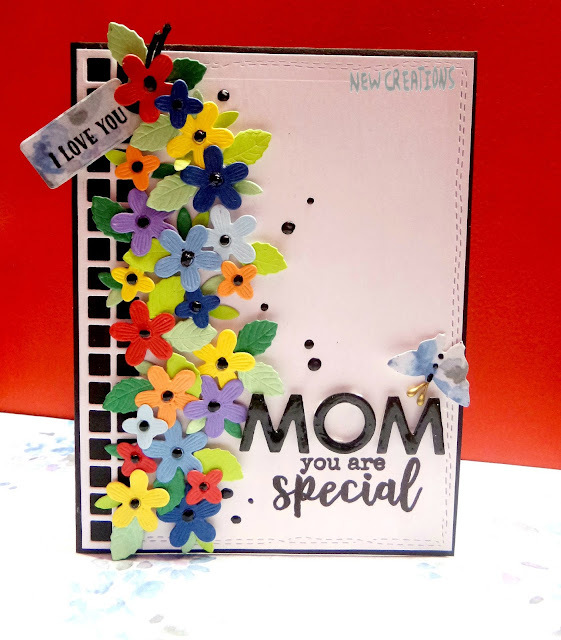 Paper Bows are die cut and assembled with foam adhesive and glue dots. 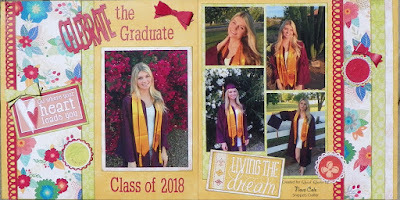 Celebrate the Graduate and Class of 2018 are die cut from Secret Garden 103. The collage of four photos is backed with Whistlin’ Dixie 103. The right side Secret Garden 104 is trimmed to 1 ½” x 12 and 1/2” for the outside edge. The circles and backing scalloped circles are die cut in contrasting Whistlin’ Dixie or Secret Garden for both sides. 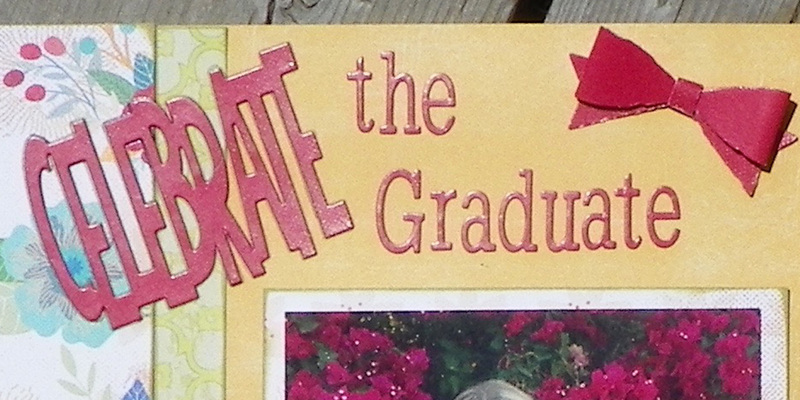 Please join along and share your “Celebrate the Graduate!” project. You may use Quick Quotes products but it is not required. Enjoy the process and create something to commemorate a great accomplishment! This month's challenge theme is "Graduation!" Create a layout, card, tag or off the page project that in any way includes the theme of Graduation - be creative! Challenge begins today and is open until 11:55 pm PST on 6/25. The Linky Tool will ask you for the direct link to your project, not just your blog address. Oh, my...I really thought I clicked once = then my computer came up with the message that it could not connect. Well, instead, it put on multiple entries and I cannot see a delete button. My apologies, but could you fix it so there is one entry? Thank you so much.